The 4 Universities Alliance (A-4U), a strategic partnership of four of the main public Spanish universities: Universitat Autònoma de Barcelona (UAB), Universidad Autónoma de Madrid (UAM), Universidad Carlos III de Madrid (UC3M) y Universitat Pompeu Fabra in Barcelona (UPF) has carried out an institutional mission to Thailand and Vietnam from the 23rd of September to the 2nd of October. 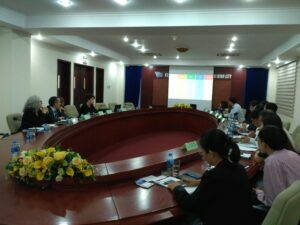 Within the strategic framwork for internationalization of the 4 universities which constitute the consortium, the A-4U has developed the institutional mission to Thailand and Vietnam in order to promote bilateral collaboration agreements between Thai or Vietnamese universities and each of the A-4U universities in the areas of research, teaching and technology transfer. The A-4U delegation was made up of the Vice-rectors of International Relations of each of the 4 universities and the International Relations Coordinator of the 4-AU. 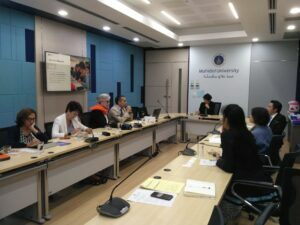 During the 10 days of the mission, which was carried out in the cities of Bangkok, Ho Chi Minh, Hue and Hanoi, the delegates held several meetings in the main Thai and Vietnamese universities to get to know and strengthen the relationship with the main High Education agents in both countries. 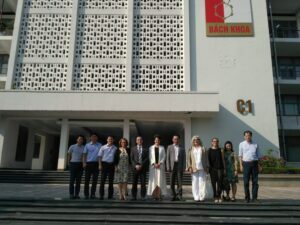 The visited universities are: Chulalongkorn University (CU), Thammasat University (TU) and Mahidol University (MU) in Thailand, and Vietnam National University, Ho Chi Minh City (VNUHCM), Hue University (HU), Hanoi University of Science and Technology (HUST) and Vietnam National University, Hanoi (VNU) in Vietnam. 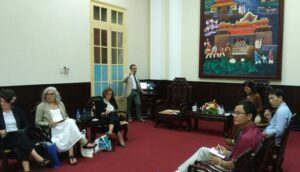 The A-4U delegation also took the opportunity to hold meetings with the Spanish Embassy in Bangkok and in Hanoi. Alianza 4 Universidades (A4U) has been successful in gaining Erasmus+ funding, securing 275.050,00€ in the latest round of funding award. A4U is a consortium of 4 Spanish public universities: Universitat Autònoma de Barcelona, Universidad Autónoma de Madrid, Universidad Carlos III de Madrid and Universitat Pompeu Fabra in Barcelona. Thanks to this funding student and staff exchange will be carried out between universities members of A4U and their partner universities in Russia, South Africa, Iran, India, Indonesia and Malaysia. As a result of the exchange, students will return with improved language and inter-cultural skills, increased confidence, and gain international experience that counts towards their qualification. Staff will get to know first-hand the workings of a different educational system, learn and share new ideas and explore best practices to take back home. They will also be able to benefit from research and teaching development opportunities, and receive training. Bachelor, Master and PhD students as well as teaching and administrative staff from all subject areas from partner universities and A4U universities can apply. Erasmus+ funding covers travel and living expenses from 3 to 5 months for students, and for 7 days for staff. The time spent abroad is recognised by the sending university, and the obtained credits count towards the student’s academic record. Staff deliver 8 hours of teaching or receive training during their stay. 148 staff and students have already taken part in the exchange between A4U and its partner universities in Russia, South Africa, Iran, India, Indonesia since 2015, and 164 more will join them in the next two years. Attract talent and increase the number of international students and staff, thus contributing to their diversity and internationalisation. The IUNE Observatory has published a report on the research conducted at Spanish universities between 2005 and 2014. 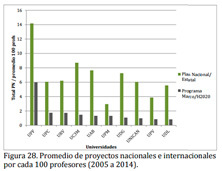 The report measures various parameters, such as scientific output (number of papers by university, region and subject area), scientific collaboration (national and international), impact (citations by university and professor), visibility (papers published in first-quartile journals), recognition of teaching staff (based on the number of six-year productivity bonuses, or sexenios, awarded), technological innovation (measured with indicators such as the number of patents and spin-offs), competitiveness (Spanish and European competitive projects), and talent recruitment and training capacity (linked to the number of dissertations defended or Ramon y Cajal, Juan de la Cierva, research internship (FPI) and university internship (FPU) grants received). Similarly, according to the report, the A4U accounted for 20% of the university’s system’s national collaborative output, 5% more than the system average. The quality and visibility of the output also bear witness to the Alliance’s potential, as together the partner universities account for 19% of the papers published in journals in the first quartile and 20% of the system’s ‘Top 3’ papers. Finally, the report highlights competitiveness as one of the key strengths of the A4U, which accounted for 17% of the system’s Framework and Horizon 2020 programmes and averaged 3.3 projects per 100 teachers, compared to 0.56 for the system as a whole. uring the past 27 May Competitiveness Council of the EU, Commissioner for Research, Science and Innovation, Carlos Moedas, announced the 25 members of the High-Level Advisory Group Open Science Policy Platform that will provide advice about the development and implementation of open science policy in Europe. Dr. Eva Méndez Rodríguez, Deputy Vice President for Strategy and Digital Education at Universidad Carlos III de Madrid (UC3M) has been nominated as one of themembersof the Platform and will represent the interests of YERUN (Young European Research Universities Network), as well as of REBIUN (Network of Spanish University Libraries, CRUE). Open Science is one one of the three priorities of Carlos Moedas’ mandate Open Science, Open Innovation, Open to the WorldOne of the concrete actions refers to the development of the European Open Science Cloud, presented on 19 April, as part of the Digital Single Market.